A novel, noninvasive technology, utilizing suction-coupled radiofrequency (RF) heating and ultra-short pulse duration, high-voltage electrical pulses was studied for its efficacy and safety on adipose tissue reduction. 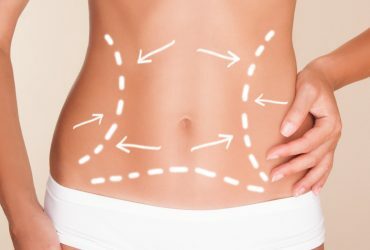 undergoing a future elective abdominoplasty, were treated with the same protocol, but on only one side of the abdomen before abdominoplasty. Biopsies from the RF-treated and untreated sides were harvested during abdominoplasty and cultured; measurements of adipocyte size and shape, rate of apoptosis, collagen production, and dermal thickness were determined. follow-up, but was not statistically significant at 3-month follow-up (73.9–73.3 kg, P¼0.609). Histologically, adipocytes were observed to have decreased size and withered shape, with increased levels of apoptosis; increased collagen synthesis, with compaction and reorganization of the dermis was also observed. Only minor, transient side effects were reported. This novel, noninvasive RF device was effective for improving subcutaneous fat, reducing abdominal circumference and reducing subcutaneous fat layer thickness. Histologically, these improvements appear to be partly related to increased adipocyte apoptosis. Lasers Surg. Med. 46:94–103, 2014. 2014 Wiley Periodicals, Inc.
To Download the Complete A Clinical and Biological Evaluation, click here.